Leda — end of prod. Both Fourteen models (Saloon and DHC) were discontinued in the summer of 1954. 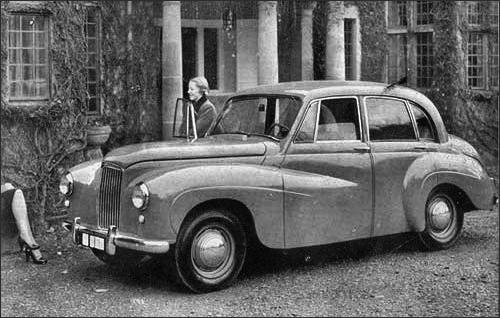 Lanchester Sprite Saloon, a prototype model. Three were built fitted with a 1.6-litre four-cylinder version of the Daimler Conquest engine coupled with a Hobbs automatic transmission. Although the first British light car ever to have a fully automatic transmission system, it was given a cool reception generally and did not go into production. The Dauphin did not reach production stage.